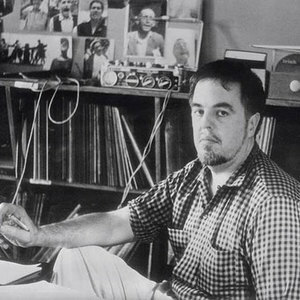 Alan Lomax (January 31, 1915 ? July 19, 2002) was an important American folklorist and musicologist. He was one of the great field collectors of folk music of the 20th century, recording thousands of songs in the United States, Great Britain, the West Indies, Italy, and Spain. Lomax was son of pioneering musicologist and folklorist John Lomax, with whom he started his career by recording songs sung by prisoners in Texas, Louisiana, and Mississippi. Lomax was son of pioneering musicologist and folklorist John Lomax, with whom he started his career by recording songs sung by prisoners in Texas, Louisiana, and Mississippi. He attended The Choate School in Wallingford, Connecticut, and then went on to earn a degree in philosophy from the University of Texas at Austin and worked on the oral history project for the Library of Congress. To some, he is best known for his theory of cantometrics. Lomax worked with his father on the Archive of Folk Culture, a collection of more than ten thousand recordings for the Archive of American Folk Song at the Library of Congress. Lomax assembled a highly regarded treasure trove of American and international culture. He spent a lifetime collecting folk music from around the world, particularly from the American South. He also recorded substantial interviews with many musicians, including Woody Guthrie, Leadbelly, Muddy Waters, Jelly Roll Morton, and Jeannie Robertson. He produced radio shows, had a regular television series, and played an important role in both the American and British Folk revivals of the 1950s. He recorded Irish traditional musicians including some of the songs in English and Irish of Elizabeth Cronin in 1951. His survey of Italian folk music with Diego Carpitella, conducted in 1953 and 1954, helped capture a snapshot of a multitude of important traditional folk styles shortly before they disappeared. The pair amassed one of the most representative folk song collections of any culture. From Lomax's Spanish and Italian recordings emerged one of the first theories explaining the types of folk singing that emerge in particular areas, a theory that incorporates work style, the environment, and the degrees of social and sexual freedom. Lomax won the National Book Critics Circle Award and the Ralph J. Gleason Music Book Award in 1993 for his book The Land Where the Blues Began, the story of the origins of Blues music. Lomax also received a posthumous Grammy Trustees Award for his lifetime achievements in 2003.